What Are The Advantages & Disadvantages of Chatbot in Your Business? A chatbot is a computer program that mimics realistic human conversations including text or spoken language using artificial intelligence techniques. 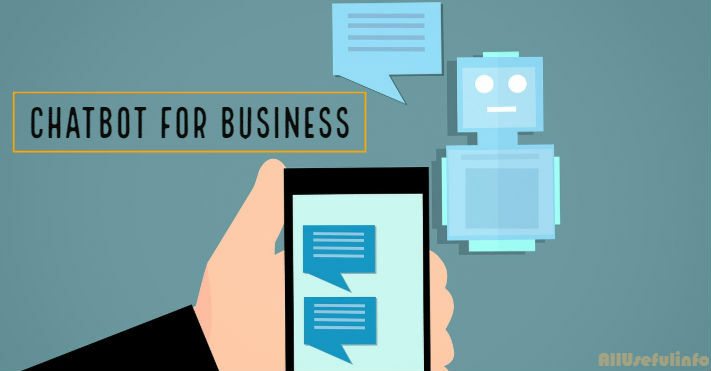 The benefits of using a chatbot in business are undeniable, especially for small businesses that cannot yet afford to run a 24/7 customer support center. However, chatbots can also be unreliable, inefficient, and rather hard on your website. That’s why it’s essential to not only consider the advantages and disadvantages of the chatbots, but to realistically evaluate the quality of the solution you can afford. It might be best to put off integrating this tool into your website until you can ensure that the one you get will truly be great. It’s always good to see what’s good inside something. And, having the fact in mind lets check the main advantages of a chatbot in your business. The main reason for the popularity of chatbots is the fact that they allow a small business to provide customer service 24/7. The idea is that even a limited functionality of the bots is better than no service at all. As even outsourcing a call center is much more expensive than developing and launching a bot, your business gets to save a lot of money. This might also be the only customer support service type that a small startup can afford by default. Note that chat bot maintenance cost is also low. When you use a chatbot in business it will not only answer customer questions but also collect and analyze data from every ‘conversation’. This can provide you with important insights that will help improve your business and marketing strategy. When you use a bot in business, you transfer a rather time-consuming part of the workload to it. This allows you to actually focus on growing and improving your company. As the bot takes over a big part of the most stressful and repetitive work, it also helps improve your employee’s mood, which makes them more productive. Apart from the advantages, there are some disadvantages too that you should keep in mind before switching to a chatbot for your business. The solution’s AI might struggle with understanding customer requests and provide incorrect or insufficient answers. Therefore, a ‘discussion’ with a bot can turn into a very frustrating experience that will end nowhere. When you use this kind of service, find out whether it’s a plugin that will be loading from your server or asynchronously from the company that runs the bot. In either case, using these solutions might send out red flags when you test your website loading speed with Pingdom or a similar app. The website loading speed is vital for your success and Google ranking. Therefore, you have to ensure that your chatbot will not bring your website down in any way. Only in that case can you get a boost from this solution’s benefits. Only start using a chatbot if you are 100% sure that it’s both compatible and efficient in ‘conversations’. In case you’re keen to setup a chatbot for your business, below are some basic steps to follow. You need to ensure the top-quality performance of the website itself, which means moving to a reliable hosting with a service package that will allow you to use multiple plugins. Web Hosting Media is a trusted source of information on available hosting companies and it provides detailed reviews and comparisons of the providers that any small business can afford. Once you’ve established the website on a good host, you need to choose a bot that will be able to meet your business needs, or have one made just for you. You need to look for a reliable AI with great learning capabilities. Be sure to study reviews, including those from independent users. You need to get honest opinions about every solution within your price range, so take your time looking for them. You should assess the quality of the customer service of the bot provider because you’ll be dealing with them if any issues occur (which they will, so be prepared). Evaluate the speed of response and tech support’s attitude. To use a chat bot in business, you have to be sure that the solution is compatible with your current website’s build. Think ahead as well and find out what you should do when you update any part of the site. While the pros of using a chat bot in business definitely outweigh cons, you shouldn’t forget that every negative experience of your company loses you a lot of potential business. That’s why it might be better to not use bots at all if you can’t ensure a minimal level of customer dissatisfaction with them. Otherwise, a blow to your brand reputation might ruin your business before it even gets a chance.